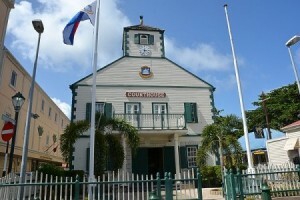 PHILLIPSBURG, WILLEMSTAD - In connection with the criminal investigation code-named “Robalo ” the suspects E.L.A.H (37) and U.G.A. (55) were arrested on Wednesday, April 19, 2017. A search led by the Judge of Instruction and a Prosecutor was also conducted at E.L.A.H.’s home. Important documents, digital data carriers and telephones were confiscated. On August 10, 2016, a search had already taken place at U.G.A.’s home in connection with this same investigation. Robalo is the investigation into suspected human smuggling committed on May 5, 2016, and other criminal offences related thereto which started in May 2016 under the authority of the Prosecutor’s Office and is being carried out by the National Detective Agency (Landsrecherche). The investigation is in full swing and possibly more arrests cannot be excluded.